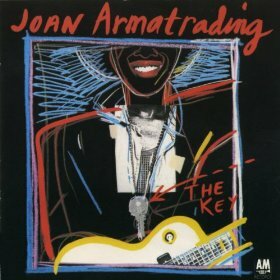 Joan Armatrading is much too good an artist to make a bad album, but on portions of The Key, she sure seems to be trying. Whatever happened to the fascinating, introspective lyrics and vocals that characterized her self-titled best LP? Not much, commercially, and since she’s still looking for the big break seven years later, she has ostensibly opted to forsake more and more of her individuality for the kind of salable hard rock that a lot of artists can make. “Drop the Pilot” isn’t the only good song you’ll find here, but on my scorecard, yawns are starting to outnumber the applause-getters.